Our Bindery is ready and equipped to handle almost any project that we produce. 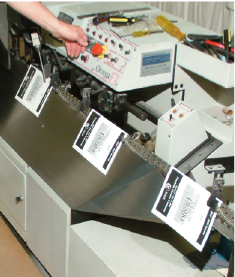 We can fold, stitch and trim most brochures and booklets, as well as number, perf, die cut, collate and glue, all in house. Schedules are tight, and when your project needs to be sent to an outside source, control of your project can be lost. Presentation folders can be produced more efficiently, because we have the ability to print, die cut and glue on site.